Lenovo launched its S5 smartphone in March and now the company is in the process of launching the S5 Pro. The company has announced that Lenovo S5 Pro will be launched on October 18. Teaser, issued by the company, revealed that the phone had dual-front cameras. It is worth noting that the Lenovo S5 has a front camera and two rear cameras. Lenovo S5 Pro has also been seen on China's Certification website Tina and has disclosed all the specifications of the device. Lenovo posted an invited teaser on Vibo, confirmed the launch of Lenovo S5 Pro on October 18 in China. The profile given on the poster shows that the smartphone will have two front cameras. In the Tina list of the Lenovo S5 Pro, the phone has a 6.18 inch display, 3500 mAh battery, dual front and rear camera and octa-core processor. The phone can be offered in many RAM and storage variants. Tina has been listed with the Lenovo S5 Pro handset model number L58041. Talking about the listing, the phone runs Android 8.1 on the Orio and comes with the Dual-SIM slot. The phone can have 6.18 inch full HD + display, which will have a phone with an aspect ratio of 19: 9. The phone will have a 1.8 GHz octa-core processor. The phone can be launched in 3 GB RAM / 32GB storage, 4GB RAM / 64GB storage and 6 GB RAM and 128 GB storage version. Storage can be extended up to 128 GB via microSD card. Talking about the camera, the phone can have 20 megapixel primary and 12 megapixel secondary sensors. Phones can offer 20-megapixel primary and 8-megapixel secondary front sensor for selfie and video. The dimensions of the phone are 154.5x75.45x7.7 millimeters. According to the listing, the device for power supply can be 3500 mAh. Connectivity options like 4G volts, Wi-Fi AC, Bluetooth 5 and GPS can be given in Lenovo S5 Pro for connectivity. The phone will be made available in Black, Gold, Rose, Silver and White color variants. 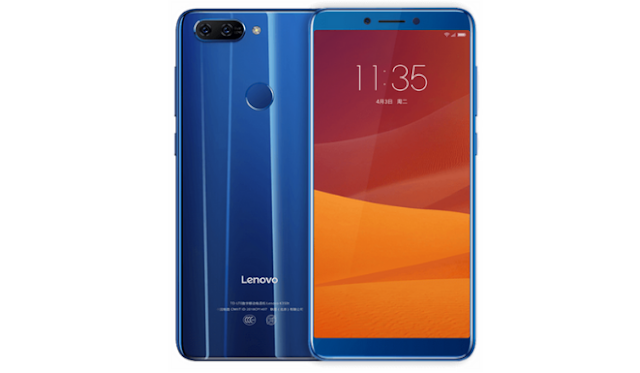 Another smartphone from Lenovo has been listed with model number L38041 on Tina. This phone can have a dual rear camera, 8 megapixel front camera, 3,930 mAh battery. The dimensions of the phone are 155.9x74.9x7.9 millimeters and weighing 165 grams. Tina listings were first made public by the phonerina.